India's sacred Ganges and Yamuna rivers cannot be considered "living entities", the country's top court ruled Friday, suspending an earlier order that granted them the same legal rights as humans. The Supreme Court stayed a March order by a lower body that recognised the Ganges and its tributary the Yamuna as "legal persons" in an attempt to protect the highly polluted rivers from further degradation. The landmark ruling made polluting or damaging the rivers legally comparable to hurting a person, and saw three top government officials appointed as custodians. But the Himalayan state of Uttrakhand, where the Ganges originates, petitioned the top court arguing the legal status to the venerated rivers was "unsustainable in the law". In its plea, the state said the ruling was unclear on whether the custodians or the state government was liable to pay damages to those who drown during floods, in case they file damage suits. Petitioner Mohammad Saleem, on whose plea the Uttrakhand High Court bestowed the legal rights to the water bodies, will have the opportunity to appeal the ruling by a bench headed by chief justice J S Khehar. M C Pant, Saleem's lawyer, said he was "shocked and surprised" over the government's decision to oppose the status. "We will present our case before the court and convince them," Pant told AFP. 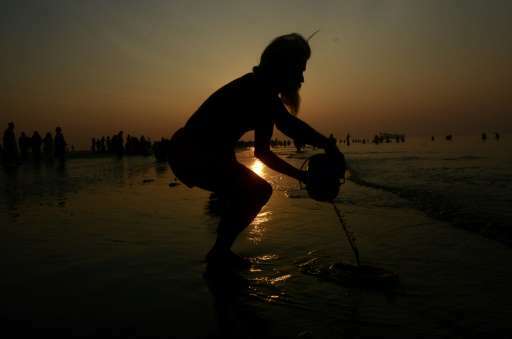 The Ganges is India's longest and holiest river, but the waters in which pilgrims ritualistically bathe and scatter the ashes of their dead is heavily polluted with untreated sewage and industrial waste. Successive governments in India have attempted with limited success to clean up the Ganges, which snakes 2,500 kilometres (1,553 miles) across northern India from the Himalayas to the Bay of Bengal. In March, New Zealand recognised Whanganui—its third-largest river—as a living entity, making it the first river in the world to be given such rights. The Indian High Court in a separate order in April also recognised Himalayan glaciers, lakes and forests as "legal persons" in the mountainous state in a bid to curb environmental destruction.